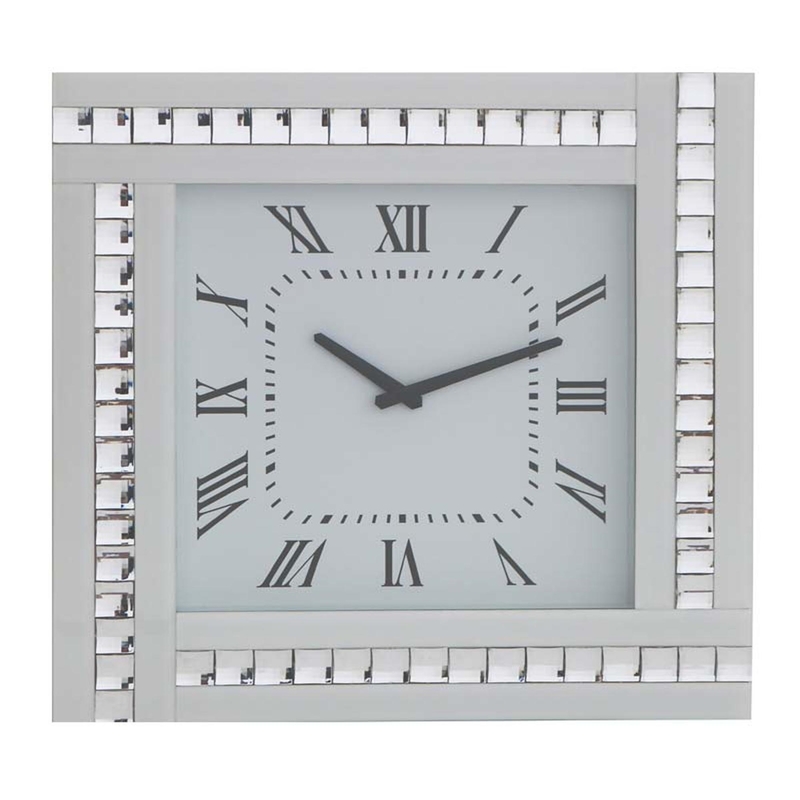 Welcome this beautiful white wall clock to you home to see elegance, grace and glamour. The lovely white mirrored glass will brighten up your room when reflected against light. This clock reads in roman numerals and has 4 rows or beautiful crystals which make this item absolutely perfect for anyone wanting to add a bit of shine to their home.